A full circle moment for me today! 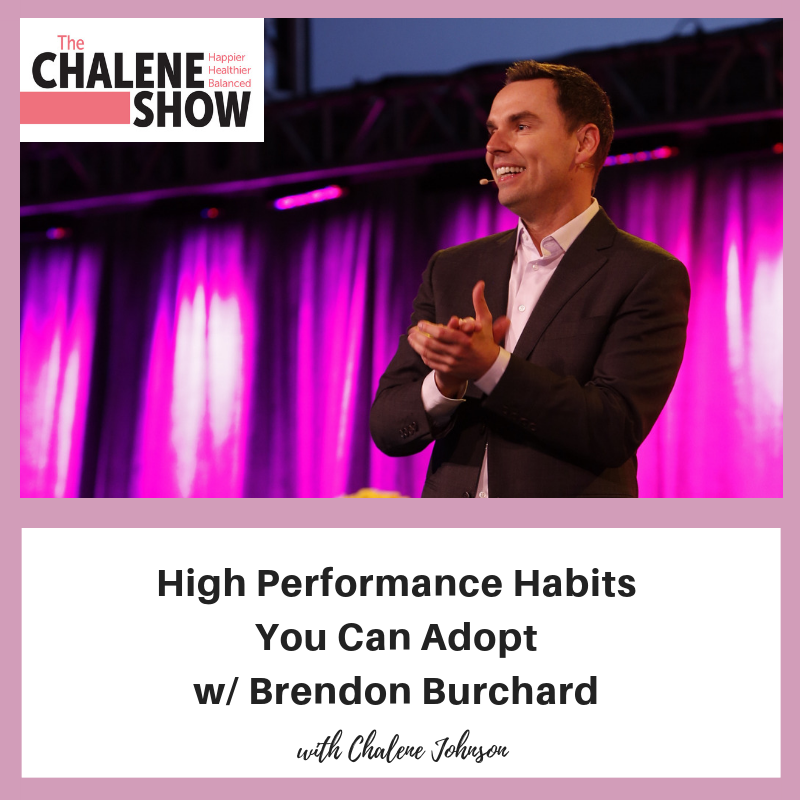 I’m bringing back my very first guest of The Chalene Show, Brendon Burchard – who also happens to be a dear friend! Brendon is considered one of the world’s best high performance coaches. He is also one of the most watched, quoted, and followed personal development experts in history. In this episode, we’re discussing productivity and all the ways you can develop high performance habits in every area of your life! If you’re trying to develop a habit, should you focus on what feels best or the anchor? What is the #1 challenge people have? And no, it’s not fear. How does anyone know with certainty that they are in alignment?